Made In The Shade Market Umbrellas by Galtech are made with the finest materials available, including first-grade Indonesian Hardwood and 100% solution-dyed Suncrylic or Sunbrella fabric canopies that combine for an umbrella that will bring you years of beauty and enjoyment. This 6 foot Bistro Market Umbrella is perfect to use in a petite setting with café and bistro sets. It is available with either a light or dark wood pole. Many canopy colors are available in Suncrylic or Sunbrella fabrics. 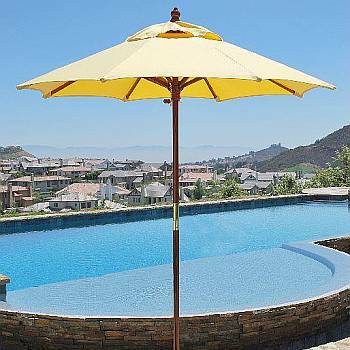 You'll find this umbrella is decorative for a patio or deck area, yet sturdy enough for commercial use. 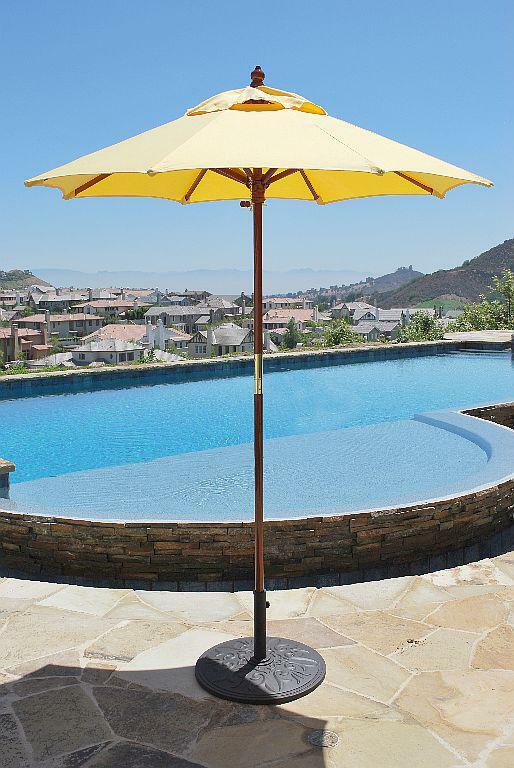 The bar height pole is an optional 2nd bottom section of the umbrellas pole. It is 7 inches taller than the regular pole which adds to the overall height of the pole for use with a wet bar or a bar height table. Available in dark or light wood, this 6ft umbrella is very charming yet durable enough for commercial use. 2 Piece pole, available in light or dark wood. 1 Year Limited Manufacturers Warranty on umbrella frame and Suncrylic Canopies. 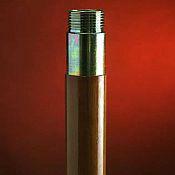 Optional Bar Height Pole: This is an additional bottom section of the umbrella's pole. It is 7 inches taller than the normal pole, which raises the umbrella 7 inches taller to accommodate a table or a bar that is of standard bar height.